CAMBRIDGE, United Kingdom, 13 September 2017 – UltraSoC, the leader in embedded analytics technology, today announced a significant global expansion to address the increasing demand for more sophisticated, ‘self-aware’ silicon chips in a range of electronic products, from lightweight sensors to the server farms that power the Internet. The company’s growth plan, which comes on the back of positive customer traction and the recent injection of $6m in new equity, encompasses the opening of a second UK location, an aggressive development and innovation program enabled by a substantial increase in engineering headcount, and new commercial agreements in countries around the world. The company’s growth reflects shifts in applications such as server optimization, the IoT, and automotive safety and security, all of which demand significant improvements in the intelligence embedded inside chips. Added to this, technical advancements rooted in the Open Source movement, such as RISC-V architecture, are driving significant changes in the commercial landscape of the semiconductor industry, creating a compelling case for the use of the company’s technology. “There’s a perfect storm of factors revolutionizing the technology business from top to bottom,” commented Rupert Baines, UltraSoC CEO. “This goes far beyond the semiconductor industry. We’re seeing the emergence of ‘self-aware’, self-optimizing systems, including technologies such as machine learning and artificial intelligence. 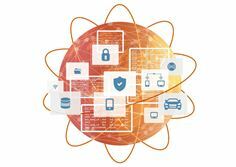 UltraSoC’s semiconductor intellectual property (SIP) simplifies development and provides valuable embedded analytic features for designers of SoCs (systems on chip). UltraSoC has developed its technology – originally designed as a chip development tool to help developers make better products – to now fulfil much wider, pressing needs in an array of applications: safety and security in the automotive industry, where the move towards autonomous vehicles is creating unprecedented change and risk; optimization in big data applications, from Internet search to data centers; and security for the Internet of Things. These developments will be accelerated by the addition of a new facility in Bristol, UK, which will be home to an engineering and innovation team headed by Marcin Hlond, newly appointed as Director of System Engineering. Hlond will oversee UltraSoC’s embedded analytics and visualization products, and lead product development and innovation. He has over two decades of experience as system architect and developer, most recently at Blu Wireless, NVidia and Icera. He will focus on fulfilling customers’ needs for more capable analytics and rich information to enable more efficient development of SoCs, and to enhance the reliability and security of a broad range of electronic products. This latest expansion was made possible by UltraSoC’s recently announced successful funding round, which brought a line-up of new investors – including Atlante Tech, Enso Ventures and Oxford Capital – and board members, including EDA industry pioneer Alberto Sangiovanni-Vincentelli, now a member of UltraSoC’s Strategic Advisory Board. The company’s global expansion also recently saw UltraSoC appoint Nautech as its technical sales representative in Russia. The Bristol team continues UltraSoC’s successful development of debug, safety and security tools which, along with increased awareness of the benefits of using its technology, has already meant a series of significant commercial engagements. Existing customers include HiSilicon (Huawei), Imagination Technologies, Movidius (now Intel), and Microsemi – all of which use UltraSoC technology to deliver proven hardware-embedded benefits to their customers. UltraSoC partners with leading names in the semiconductor industry including ARM, Baysand, Cadence/Tensilica, CEVA, Codasip, Lauterbach, MIPS and Teledyne LeCroy to bring these benefits to customers across all processor architectures in a vendor-neutral way.